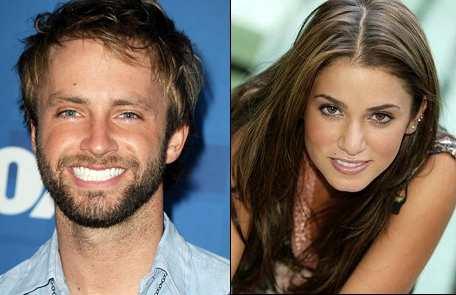 Auburn alum and American Idol star Paul McDonald is "officially dating" Nikki Reed. He lasted longer in Hollywood than Krista lasted in Nicaragua, but sadly, Auburn’s own Paul McDonald was voted off American Idol last week (wearing a Grand Magnolias shirt, no less). The Cam Newton of “Cougar” Croonin‘ was was the first “Top 12” male to leave the show, and he’s apparently making the “cougars”* pay for it with news of a new relationship… to 22 Twilight starlet Nikki Reed, who is apparently young and attractive enough to have at one time fallen victim to Robert Pattinson. And she’s apparently pumped Paul got the boot. Reed doesn’t seem the succubus type, but what with her past, Gene Chizik would likely still advise caution. * We are contractually obligated to mention “cougars” every single Paul McDonald post; but this will likely be the last. Follow us on Facebook. Follow us on Twitter.